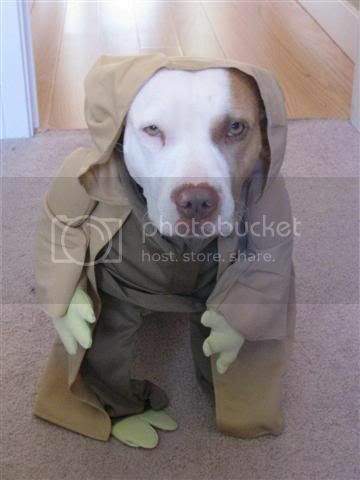 The dog seems to be hating the Yoda costume, but also seems really into the Leia one. Fantastic! Your dog, or the dog of someone you know? And is it a pit bull? Looks like one. My boss has one. Sweet dog, very well-trained. The dog is the closest thing I have to a godchild. She belongs to a friend of mine. 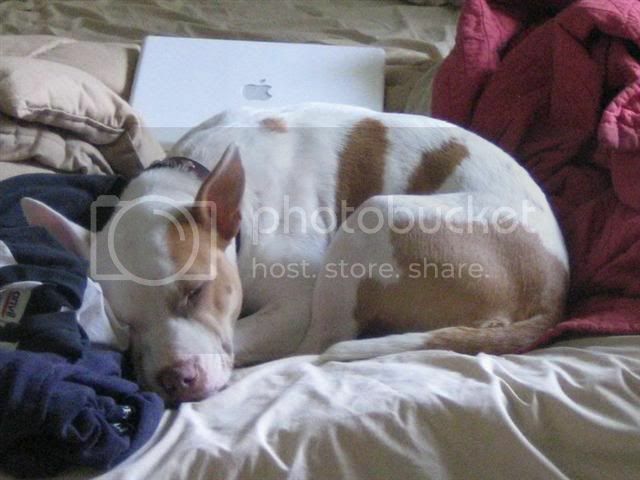 She’s a pit bull mix of some sort, and she is very sweet. And lazy, in a comical way. You misread her yoda face… try to think of it as she is about to whip out her tiny lightsaber and attack. 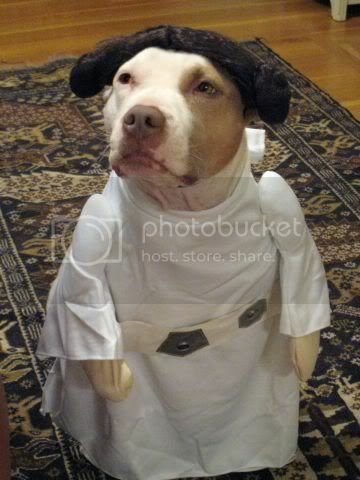 The yoda costume is not taking full advantage of her wonderful ears, I mean – they are perfect. Still, of course, adorable though.